House prices in Calderdale decreased by 1.9 per cent in January, despite witnessing a 1.5 per cent rise over the last 12 months. The latest data from the Office of National Statistics shows that the average property in the area sold for £139,322 – significantly lower than the UK average of £228,147. Across Yorkshire and The Humber, property prices have risen by 2.9 per cent in the last year, to £160,420. The region outperformed the UK as a whole, which saw the average property value increase by 1.7 per cent. The average homeowner in Calderdale will have seen their property jump in value by around £21,000 in the last five years. 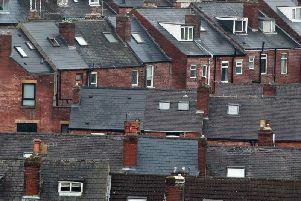 The figures also showed that buyers who made their first step onto the property ladder in Calderdale in January spent an average of £120,480 – around £18,000 more than it would have cost them five years ago. He said: "This month’s ONS house price index shows slowing growth, with UK house prices growing just 1.7 per cent in the year to January 2019. That’s compared to 4.3 per cent growth this time last year. "It’s also below inflation for the same period – 1.8 per cent – which means UK house prices have fallen in real terms for the first time since July 2013. 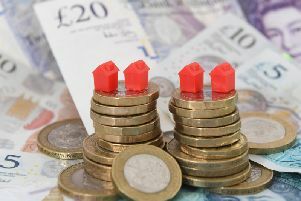 "Regions in the Midlands and North are still showing robust house price growth: Wales showed the fastest house price growth in Britain, followed by the midlands. "Affordability in these regions is less constrained than in London and the south, which leaves more capacity for prices to rise." Between December 2017 and November last year, the most recent 12 months for which sales volume data is available, 3,318 homes were sold in Calderdale, 2 per cent fewer than in the previous year. The highest house prices in the country in December were found in London's Kensington and Chelsea, where properties sold for an average of £1.41 million – 18 times the cost of a home in Burnley, where the average property cost just £78,000.